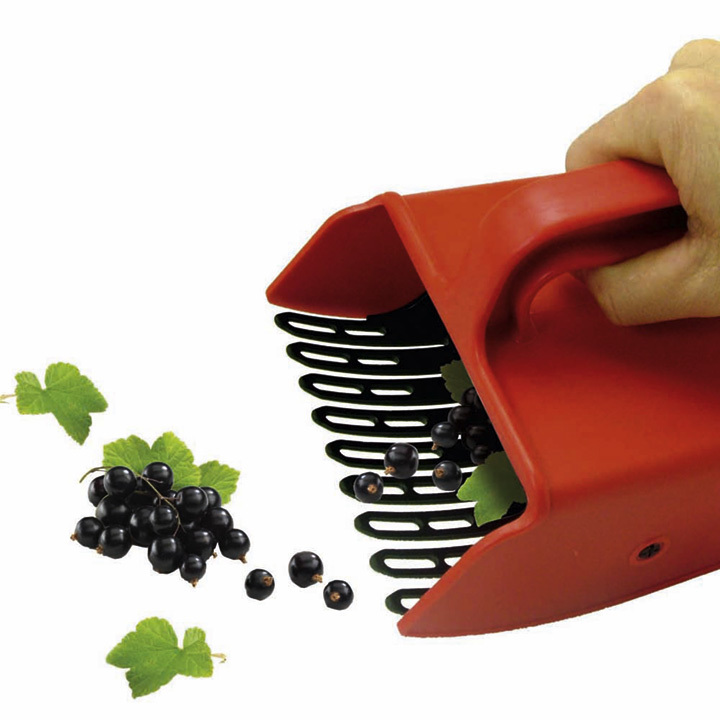 Anyone who has ever gone through the fiddly process of picking currants or berries will find this clever gadget a joy to use! It has a comb that separates the berries from the stem in a simple brushing motion, and collects them, which means you can harvest up to ten times faster than picking by hand. Can also be used for dead-heading flowers. 14cm (5½") wide x 22cm (8¾") deep x 13.5cm (5¼") high. Much easier for harvesting berries!